Sheffield-based Whitespace Technology is rolling-out a ground-breaking project to deliver high-speed broadband to UK homes and businesses struggling with connectivity. Connecting the unconnected, it is pioneering the commercial use of the TV Whitespace (TVWS) technology by repurposing TV frequencies freed up following the switch from analogue to digital TV. High-speed connectivity for speed challenged areas of the UK is now possible. It is utilising 20th century technology, updated for use in the 21st century with huge benefits for social housing projects in Scotland, England (rural counties and Wales (where Whitespace is working closely with regional councils and the Welsh Assembly). Mark Wheeler, founder and chief executive of Whitespace, based at the Innovation Centre in Portobello, Sheffield, said: “Talks are ongoing to accelerate programmes across the UK and, potentially to communities around the world which do not have an internet connection. 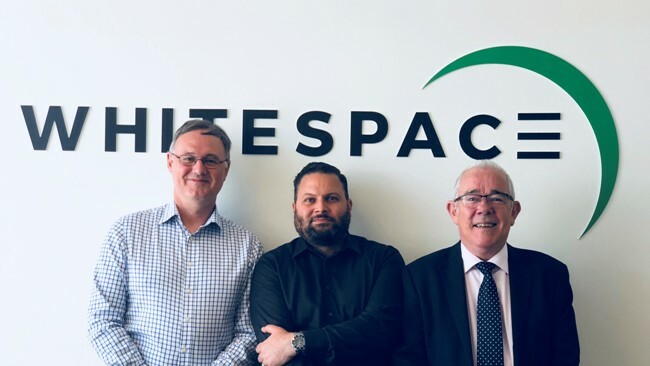 The Whitespace Technology team includes chief operating officer Mark Kelly – who, with Mark Wheeler was part of the senior team at Sheffield telecoms company plusnet – and chairman Steve Thomas, a well-known Sheffield businessman. Mark Wheeler has worked at the cutting edge of technology and internet service provision for 20 years. Mark Kelly has more than 15 years’ experience leading SMEs, corporate and enterprise service organisations. “Our system offers the prospect of a major step forward towards the Government’s target of making it a legal right for everyone in the UK to have access to high speed broadband, with connection speeds of at least 10 Mbps, by 2020,” added Mark, speaking from Whitespace’s headquarters at the Innovation Centre in Portobello, Sheffield. In the longer term, Whitespace technology is seen as an opportunity to deliver high-speed broadband to parts of the world where the internet could be a valuable communicative and educational tool, such as parts of Africa. Some 53 per cent of the world’s population is unconnected, totalling over three billion users. “As a team, we have always tried to innovate and push the internet into environments that are difficult to connect. By leveraging this new technology and applying our legacy ISP knowledge, we plan to scale quickly and provide communities the connectivity they deserve.